Student loan refinancing allows you to take a new loan to pay off your existing student debt. The goal is to locate a new loan at a lower interest rate, saving you cost on your financing over time. People who benefit from refinancing capitalize on personal or market factors to get a cheap loan when possible. Refinancing is a form of debt modification. Instead of paying off your original debt in full, you will be paying it off early. You will formerly end your obligation to make payments to your previous lender and only be responsible to payments toward your new loan. You should refinance only if you feel you can get a much better loan offer. 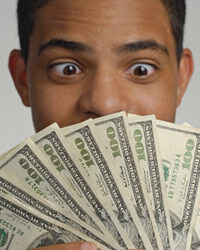 This typically occurs if your credit score or income have increased tremendously. The better loan option may also be the result of a change in the credit market. If the national prime interest rate has gone down or the credit market has loosened up, then you may find a better rate than when you initially took your loan.